For Memorial Day weekend I drove up to Eufaula, Alabama and hung out with a good friend of mine named Tony. I brought Zena along with me. It was actually my first time traveling out of state with her. We stayed at a hotel right next to the state line into Georgia. 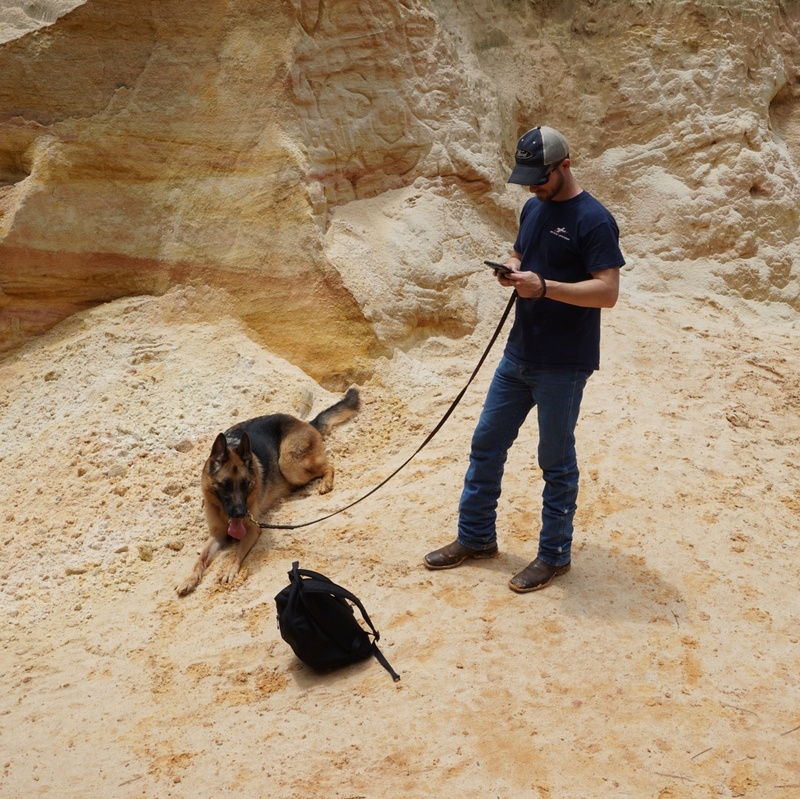 We explored a state park in Georgia called Providence Canyon. 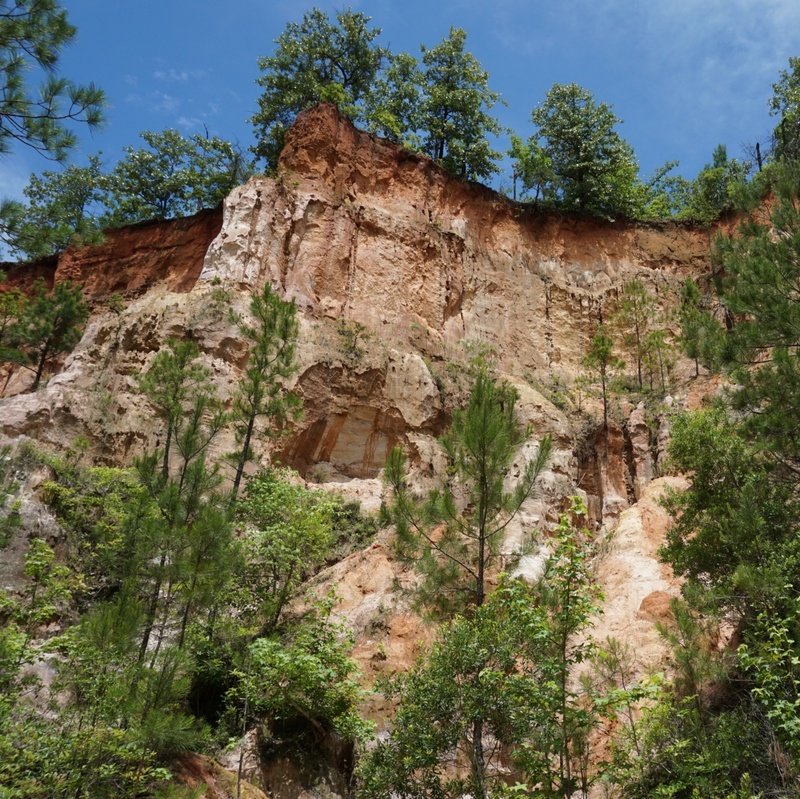 If you’ve never heard of it its basically Georgia’s “Little Grand Canyon”. 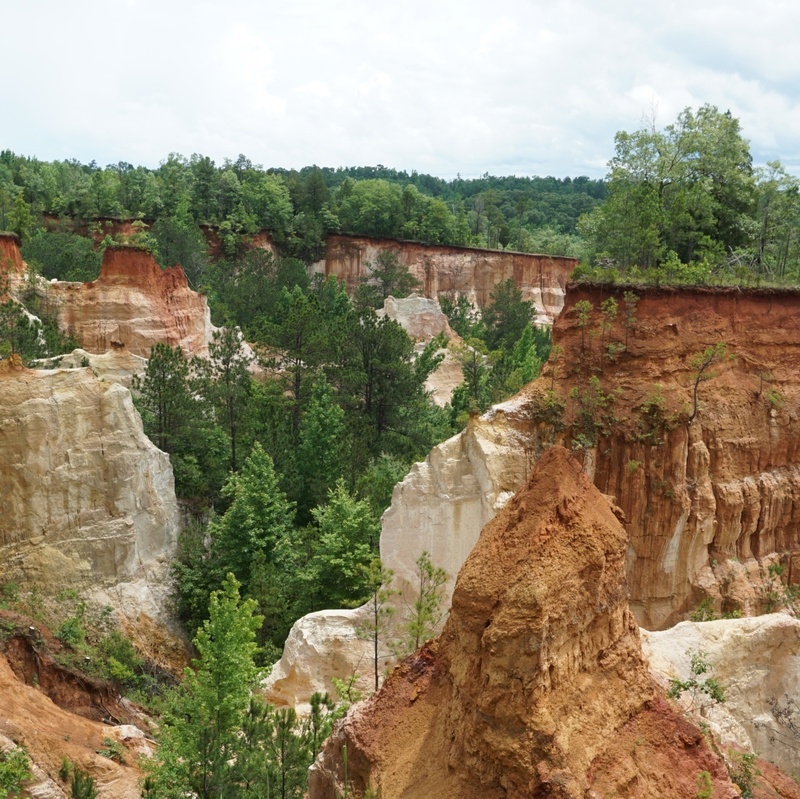 Providence Canyon is a 1,109 acre state park with 16 canyons in total. The canyons formed due to poor farming practices back in the 1800s. The canyons were absolutely beautiful. There were a few times where I just stood there in awe thinking, wow this is gorgeous. The soil that the canyons were made up of had different hues of pink, orange, red, and purple. There are miles of nature trails that you can hike. They all begin and end at the Visitor Center. We hiked canyons four and five and the three mile white blaze trail. We stopped twice and took a break because Zena started to overheat. I really enjoyed being outdoors and hiking the different trails within the park. We even came across a turtle along the trail, Zena wasn’t impressed. She took one sniff and kept walking. 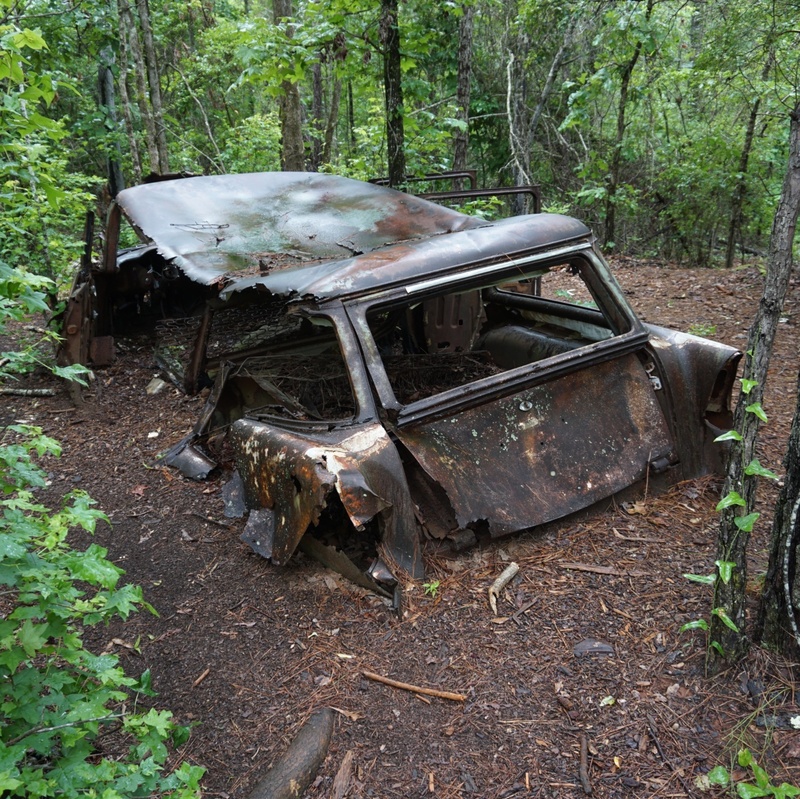 As we were hiking we came across abandoned automobiles. An old homestead was located in the area before the state park was established. A bunch of automobiles were abandoned near the homestead. Ever since they’ve become a unique ecosystem for various animals who use them for nesting and shelter. Due to where they are located the removal of the vehicles would cause harm to the environment. We stopped at the visitor center before we left. It felt so good to be in air conditioning after hiking for a few hours. I ended up buying a magnet and filled a novelty bottle with samples of the different soil hues. There is no fee to enter the state park. All you have to do is pay $5.00 for parking. The view of the canyons were absolutely beautiful. If you are ever in Georgia I definitely recommend you check it out. I took a bunch of photos with my camera as well as little snippets of video. To get a view of the canyons check out the video below. Don’t forget to “Like” this video and to “Subscribe” to my YouTube channel here so you can see the next video that I will be posting. If you have any questions please comment down below.